The internet is full of wild claims about apple cider vinegar – it can be hard to differentiate fact from fiction. I was eager to find out how to prepare an apple cider vinegar detox drink after learning that it seems to be a miracle cure for all your ailments, from head to toe! However, I always like to do my research before putting something into my body. Just because something is “natural” doesn’t mean it’s good for you. After some investigation, I’ve put together some information which I hope will help you decide if an apple cider vinegar detox drink is right for you. Apple cider vinegar, as the name implies, is a specific type of vinegar derived from the juice of the whole fruit. Like all vinegars, it has a sharp, sour taste and is extremely acidic so should not be consumed undiluted. Let’s be real here. “Detox” is nothing but a buzzword used to make sales (usually of snake oil products). Your body naturally “detoxes” all on its own by filtering your blood through your liver and kidneys. 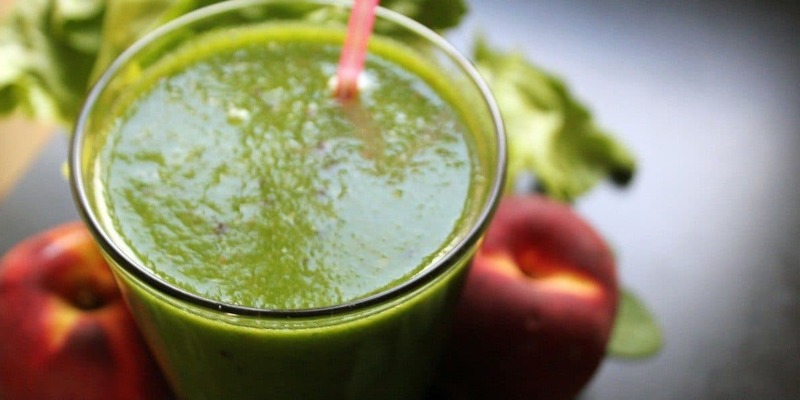 If you were truly consuming “toxins”, they’re either so minor that your body can handle them or serious enough that whatever green smoothie is popular this month won’t be any help. That being said, there are some benefits in following “detox” plans. If you’re searching for this type of thing you most likely want to lose weight or eliminate junk from your body. 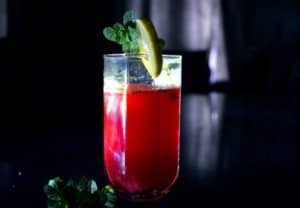 “Detox” drinks along with a healthy diet, can give an added boost in areas where you might otherwise be lacking, and they can tame your appetite, making it easier to lose weight. Let’s start with the property most of us are interested in – weight loss. Apple cider vinegar helps you lose weight in a number of ways. Firstly, it helps suppress your appetite – this was illustrated in a study in “BMC Gastroenterology”. The reason for this is that the abrasive taste of vinegar causes mild nausea. Who wants to eat when they feel sick? This hasn’t been investigated further. It may also slow the movement of food through your digestive system, leaving you fuller for longer after meals. Finally, apple cider vinegar’s potassium helps you eliminate excess water weight from your body. It’s a diuretic, in a nutshell. Studies have shown a solid link between blood sugar and apple cider vinegar consumption. It has a similar effect to anti-diabetic medicines, enhancing the effect of your natural insulin to decrease sugar levels both after meals and fasting levels. Stabilising your blood sugar levels helps prevent cravings. Acetic acid – found in all vinegars – has potent antibacterial, antiviral and antifungal properties. This is why apple cider vinegar is often used to fight dandruff, acne, warts and sore throats. As for an apple cider vinegar detox drink – if you have any nasty bacteria in your body, there’s a chance that this might eliminate them. Apple cider vinegar can lower your blood pressure, reduce your “bad” cholesterol levels and also lower your triglycerides. These are all major risk factors for heart disease so if this is something you’re worried about this benefit alone makes it worth taking an apple cider vinegar detox drink occasionally. Raw, unfiltered apple cider vinegar contains pectin which is a prebiotic. Prebiotics feed the good bacteria in your gut. These bacteria are vital to ward off infection and help you absorb all the nutrients from your food. Apple cider vinegar is much cheaper than the prebiotics and probiotics (the bacteria themselves) for sale in tablet form so it makes a great alternative. Not all types of apple cider vinegar are created equal. If you want to get all of the above benefits you need a really good quality brand. Look for brands containing the “mother” i.e. remnants of apple source which appear as a cloudy matter floating in the vinegar. The “mother” contains all of the beneficial enzymes and prebiotics you need, so make sure to shake the bottle before using it so that you get a dose each time. Mix all of the above ingredients in a jug and stir thoroughly. If you are not going to consume it right away, make sure to stir before you take a portion as the cinnamon will settle to the bottom. You can drink this immediately as a hot tea or store it in the fridge for a cool beverage. If the taste is too strong for you, dilute as you please. It will last in the fridge for about one week. There are a few conditions above where apple cider vinegar may not be suitable. If you have issues with blood sugar or take an anti-diabetic medicine, check with your doctor before trying an apple cider vinegar detox. If you suffer from IBS (irritable bowel syndrome) or another digestive issue, caution is also advised. A particularly important consideration is if you suffer from GERD (gastroesophageal reflux disease) or heartburn. Consuming any kind of vinegar if you are prone to heartburn is a bad (and painful) idea. Finally, regular consumption of apple cider vinegar can damage your tooth enamel. Make sure you’re consuming a very diluted mixture and don’t drink it long term. Some people also find drinking it through a straw helps protect their teeth. 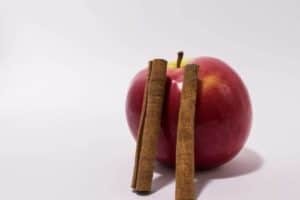 Apple cider vinegar may not be the cure-all substance it’s claimed to be, but there’s no denying it has many health benefits backed up by scientific evidence. I have a feeling more will be revealed as interest is generated – research on natural remedies is scarce for many reasons, not least lack of profit for big pharma. Let me know in the comments how you get on if you try this apple cider vinegar detox drink. It’s cheap and easy to prepare so you’ve really got nothing to lose, you might even be surprised with the results! How often is it recommended to drink this daily? I made a jug to last me through the week as a meal prep, and just drank one cup.